With just over two weeks to go until the opening night on Thursday 26th August, the cast of Romeo and Juliet are hard at work rehearsing for the performances – as you can see below. For more rehearsal pictures, videos, and to read the daily diary of events make sure to visit the Merseyside Community Theatre website. Haven’t got your tickets yet? Don’t worry, there’s still time – although they are going very fast! Call Emma on 07739 420 009 to reserve your space, or email emmamcgordon@thereader.org.uk. It is a blisteringly hot midsummer evening and one of the lead actors from The Wire is standing atop a fire escape at Croxteth fire station in Liverpool, smoke swirling around her legs, reading from Romeo and Juliet. Just turn up in time for the show, or contact Emma on emmamcgordon@thereader.org.uk or 07739420009 to ensure you get a space! So – to the point. There is a famous section of the Abbey called Poets’ Corner, which began as the resting place of Geoffrey Chaucer (not then best known for his literary achievements, Jeremy informed me, but for being Clerk of Works for the Palace of Westminster) and has since become the traditional place for great authors, poets and playwrights to be buried or commemorated. It is crowded with stone floor-slabs, carved monuments, busts, and now, given the overcrowding, a memorial stained-glass window too. And what a party of ghosts! What a crowd! Shakespeare, Hardy, George Eliot, Oscar Wilde, T. S. Eliot, Tennyson, Auden, Austen, Lewis Carroll, the Brontes, Wordsworth, Ben Jonson… I could go on and on and on and on. Had I expected to feel moved, excited? I don’t know. I had expected to feel something. After all, for several years now, especially since joining The Reader Organisation, these people have been powerful influences in my life. They have, despite being dead, changed the way I live. And here they all were. And yes, it was touching to stand above the gold letters ‘CHARLES DICKENS’ and to think that his bones – his actual bones from his actual body! – were just metres away from me. This wasn’t his wish apparently: he had wanted to be buried “in an inexpensive, unostentatious and strictly private manner”. But on the whole I wasn’t moved. On the whole I felt very little. And as I sat down, looked around and ticked off more and more great names, I realised the cause of my dissatisfaction. Above and on either side of a statue of William Shakespeare, spaced symmetrically high up on the wall, were two stone tablets bearing the names “Keats” and “Shelley”. The meaninglessness of this suddenly became clear to me. Those stone tablets – somehow implying that Keats and Shelley were two of a kind, or basically the same – were nothing but names. Now this is not a complaint about Poets’ Corner specifically – or about memorials generally. I am just as much of a blue-plaque hunter as the next boring person. But sitting in Westminster Abbey I was reminded of a question asked at our New Beginnings Readers’ Day earlier this year: about whether we should do more to mark writers’ anniversaries. Well, it’s a perfectly reasonable question, but to me the fact that it is “200 years since the birth of Anthony Trollope” is just as meaningless as his stone floor-slab in Poets’ Corner. Neither tells you anything about why his name is worth remembering in the first place: what he wrote. Anniversary celebrations can be a very good way to promote the work, of course they can, but they can also be a very poor substitute for actual reading. Those few metres between Dickens and me were light-years compared with how near he is – and how alive he is – when I read him. is written, not to multiply the voice merely, not to carry it merely, but to perpetuate it. The author has something to say which he perceives to be true and useful, or helpfully beautiful. So far as he knows, no one has yet said it; so far as he knows, no one else can say it. He is bound to say it, clearly and melodiously if he may; clearly at all events. In the sum of his life he finds this to be the thing, or group of things, manifest to him; – this, the piece of true knowledge, or sight, which his share of sunshine and earth has permitted him to seize. He would fain set it down forever; engrave it on rock if he could; saying, ‘This is the best of me; for the rest, I ate, and drank, and slept, loved, and hated, like another; my life was as the vapour, and is not; but this I saw and knew: this, if anything of mine, is worth your memory.’ This is his ‘writing’: it is, in his small human way, and with whatever degree of true inspiration is in him, his inscription, or scripture. That is a ‘Book’. But if books aren’t read, they’re dead. And no number of anniversary celebrations and commemorative monuments to the writer are going to resuscitate “the worth”: that which it contains. It is not the body we are reverencing in Poets’ Corner – many of the authors and poets aren’t buried there, only commemorated – but it is the name, the reputation, rather than what they wrote. And, given that the name and reputation were based on what they wrote, we are in danger of forgetting why we are reverencing certain names at all. In his workshop at that New Beginnings Readers’ Day, the poet and translator David Constantine presented several poems without revealing, at least till we had thoroughly discussed them, whose they were. Too often, what we think we know about a writer, and the time in which they wrote, gets in the way of our reading. This has been a guiding principle in Get Into Reading too: we don’t let context get in the way of the text. Because, in a very important way, it doesn’t matter who wrote ‘The Wife of Bath’s Tale’, or Bleak House, or Silas Marner, or ‘Tears, Idle Tears’. If you read the words Shakespeare wrote, if you feel them, discuss them, argue them, tweet or Facebook them, whisper them softly to yourself when you’re having a crap day – if you live them, basically – you are doing more justice to Shakespeare than a thousand memorials in Westminster Abbey. Summer 2010 in Liverpool can be unofficially called the summer of Shakespeare. Not only are we putting on our grand production of Romeo And Juliet with Merseyside Community Theatre but local community theatre group Liverpool Network Theatre are holding two special outdoor performances of – what else for this time of year – A Midsummer Night’s Dream. A firm favourite amongst Shakespeare’s plays, A Midsummer Night’s Dream is full of folly, foolishness and mischievious fairies. It is the perfect summertime comedy, made even more so by being brought out in the open – almost replicating the play’s setting of a forest – in the surroundings of Lowlands Hall, West Derby and Reynolds Park, Woolton. Everyone is invited to come along and enjoy the performances as well as the great outdoors, but whether rain or shine (hopefully the sun will be shining) you are bound to be captivated by one of Shakespeare’s finest stories. Make a day of it and pack a picnic; some seating may be provided but you are advised to bring your own rugs/low-backed garden chairs to ensure a comfortable show. Performances will be taking place at Lowlands Hall, West Derby (Liverpool L12 7JG) on Saturday 17th and Sunday 18th July at 3pm and at Reynolds Park (starting in the Walled Garden), Woolton (Liverpool L25) on Saturday 24th and Sunday 25th July at 3pm. So why not whet your appetite for MCT’s Romeo and Juliet by getting into the Shakespeare groove and snapping up some tickets? Tickets are priced £5 and £7, available from News At Nowhere (Telephone: 0151 708 7270) – Mondays-Saturdays: 10am-5.45pm. For more information, visit the Liverpool Network Theatre group website. On a recent trip to the cinema I went to see Letters To Juliet, the latest in a line of rom-coms from the other side of the pond. I confess I am a bit of a sucker for a good old soppy story – the more idealistic and unrealistic the better – but there was something else than just a heavy dose of syrupy sweetness that attracted me to this latest release. 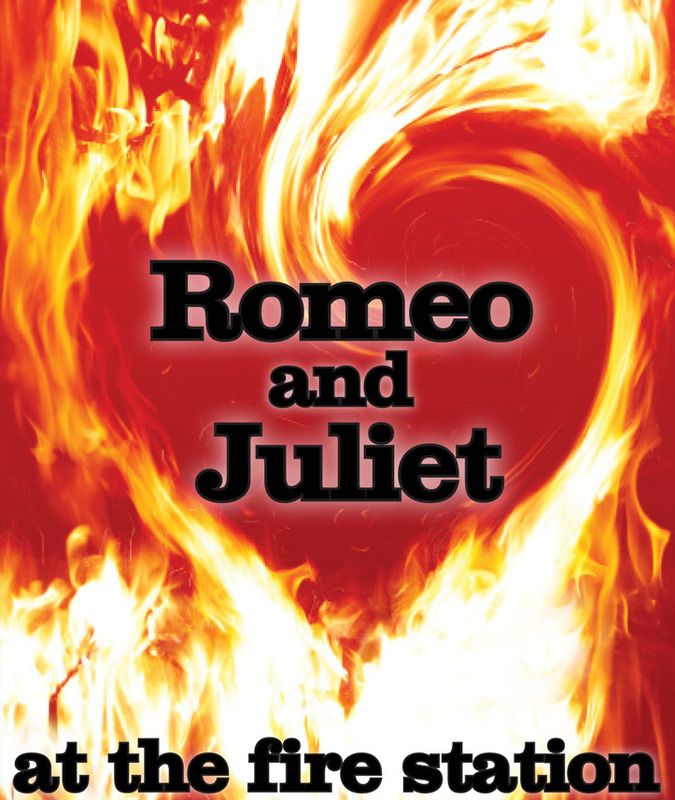 As you may be able to gauge from the title, it carries a link to the most famous romantic heroine of all time – none other than Juliet Capulet. Leading lady Amanda Seyfried plays Sophie, a wannabe writer who while on a trip to fair Verona stumbles across a mysterious wall filled with notes and numerous women scribbling away. Intrigued, she does some – rather convenient, by all accounts – investigating and discovers that the letters are all addressed to Juliet, written by the lovelorn and those in need of emotional guidance from the only person who could ever possibly understand their plight, the biggest star-crossed lover of them all. The letters are collected each day by four women acting as ‘the secretaries of Juliet’, who respond to them under the penname of Miss Capulet. Sophie gets to play at being Juliet to help reunite an English woman who wrote a letter in 1957 with her Italian sweetheart. Unfortunately, the film was rather short on literary insights and ran high – even for my tastes – on schmaltz, bordering rather dangerously on being completely cringey at times (especially when you factor in the obviously fake ‘British’ accent of the male love interest). But nonetheless, it wasn’t a total write-off. For a start, it has raised my anticipation levels even higher for the upcoming Merseyside Community Theatre production of Romeo and Juliet. But also it had left me feeling very intrigued indeed; I had never heard of the phenomenon of the letters that continue to be written to Juliet before the release of the film. I’ve read up since on the ‘work’ carried out by the real-life secretaries of Juliet and have been charmed, saddened and uplifted in equal measure by what I’ve learnt. Whatever the story of love lost or hoping to be found, from teenage girls asking what they should do to find their dream boyfriends to troubled prison inmates lamenting the complete loss of love from their lives, it strikes me that there is something perhaps unexplainable but certainly special about all of the letters. They are all testament to the incredible power of literature; that so many from all corners of the world would be so moved by reading about one young girl’s experience of forbidden love, feel that the only person they could confide in, seek solace from and look for answers to all of the burning questions of the heart is a fictional character (of course, whether Juliet is the best person to take direction from is questionable). To think that in a time of incredible despair and despondency in an individual’s life that comfort and peace of mind can be sought from a piece of literature is something quite astounding indeed, but at the same time it seems perfectly understandable. It’s what us at The Reader Organisation have been saying all along. Okay, so maybe composing a letter to one of Shakespeare’s creations may be stretching things a little…but then it’s down to what works for the individual. Perhaps it doesn’t give us all of the answers, or indeed the most satisfactory ones, but reading does give us insights into areas of life we’d never even considered it might benefit – and it’s good for the heart and soul. And leading on from these ideas is this poem by Thomas Hardy. It’s a poem that I, from first reading it, found particularly reassuring. Maybe it’s got something to do with the title which I think produces such a brilliant image – the idea of words floating along, being blown to anyone who needs them by a sheer force of nature is something not only soothing but really quite ingenious. Granted it’s more of a steely shake-up than a sugar-coated assurance, but it’s like everything: sometimes what we need to hear isn’t the easiest thing to swallow. Yet I still find it comforting, perhaps because of its reasoning that everything faces its trials and tribulations at some point. And still things continue. It is a limb of thee. To kill, break, or suppress. Hello all, I got back from doing my first presentation about an hour ago. 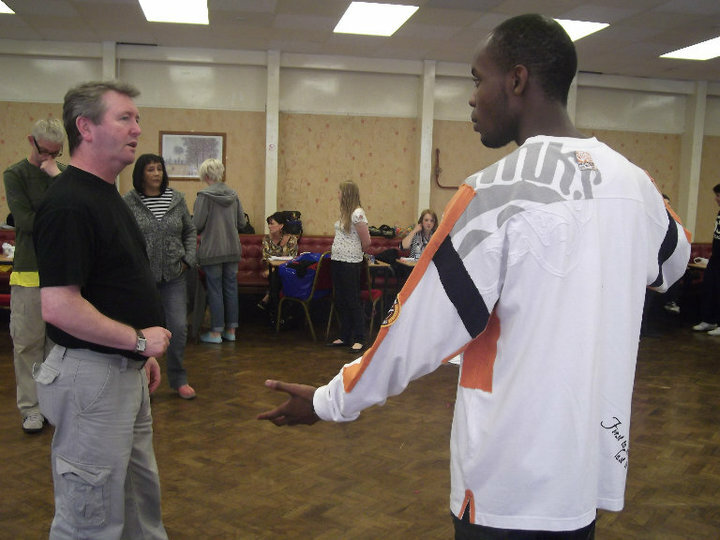 This was about getting youths involved in our Merseyside Community Theatre project. It was to Ben Dolan, Deputy Chief Executive of Liverpool City Council. It went really well… I was very nervous though. Still, now I can look back at it and say I am proud of myself, that I did it, and Jane and Niamh both said I did well too. Be a part of it yourself – visit the MCT website to find out how. The Globe’s touring production of A Midsummer Night’s Dream is coming to Shugborough Estate, Staffordshire, 16th-18th May. 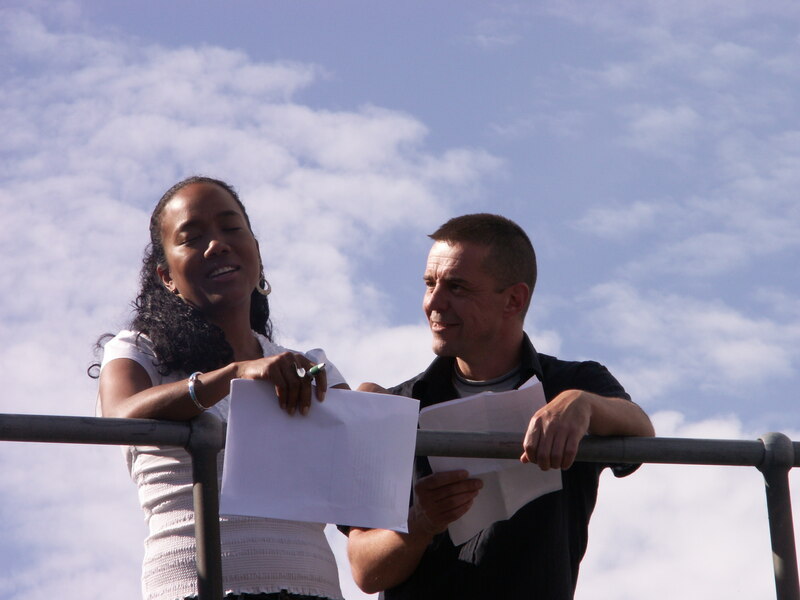 Yesterday evening I left the office, stepping out into the glorious sunshine with several of my colleagues, and headed up to Croxteth Fire Station for the launch event of Merseyside Community Theatre: Alt Valley 2010 – Romeo and Juliet at the fire station. Night time is my time. I’m not talking about the onset of dusk as the daylight closes up but the real, dark depths of the night. It’s when I really come to life, in body and in mind. I can cope with mornings if I absolutely have to – just give me adequate space and time (I’d estimate an hour at the very least) by myself to come to terms with the birds chirping, the light glinting through the curtains and the general displacement I feel with being awake at that portion of the day. Afternoon is when things start to kick in, the cogs start to whir, the pieces of the puzzle fall into place. By evening I feel comfortable; on a particularly good day, positively chirpy. But it’s when the clock strikes twelve midnight – or slightly before – when I’m at my best. I like to think of it as a slight reversal of the Cinderella effect (not that my days are so oppressive or unbearable – that would be slightly too melodramatic); the world doesn’t lose its gloss or shine after that crucial hour, in fact all the stars and streetlights seem to shine that little bit brighter. However, being a certified night-owl does have its drawbacks. Particularly in times of trouble, worry or just niggling annoyance, the dark hours can feel sometimes inescapable. Being both a creature of nocturnal habit and a lifelong over-thinker is certainly not a good combination. If thinking becomes its clearest in the shadows of night as opposed to the light of day then finding solace in sleep isn’t the easiest of tasks; there’s been many a time when each exceptionally early or very late – depending on how you choose to view it – hour has drifted by almost unnoticed while I endlessly toss and turn, trying to quiet my thoughts so I can get some shut-eye. Needless to say, counting neither the remaining hours until dawn breaks or sheep helps much (I do think that is something of a rural, rather than urban, myth…makes that’s why it doesn’t work for city-dwellers?) and I greet the new morning with a bigger sigh and sense of confusion than I would normally. If anyone can write beautifully about a bout of insomnia – and dare I say it, even make it sound in parts something to be envied – then it is Shakespeare. As a writer, a playwright, a creative person, it is entirely understandable that Shakespeare himself would be all too familiar with a mind that awakens intensely at night; the idea of his soul having an ‘imaginary sight’ richly describes how it takes on a life of its own. Yet as ever with Shakespeare, there is more to this sonnet than meets the eye. It is not just creativity that stimulates, but also longing – not for sleep or rest, but for love. The mentions of ‘a journey in my head’ and the ‘zealous pilgrimage’ to a desired one seem almost pre-meditated, evoking more power and control over one’s faculties than physical exhaustion does. Perhaps sleep is overrated after all, if lack of it inspires such a wonderful sonnet.